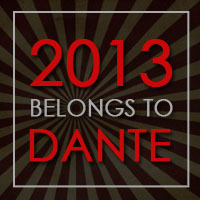 I’m so glad to be a part of 2013 belongs to Dante blog Event. I’ve been waiting for this book since the blurb was release, so obviously, I signed up for the event without a second thought. Dante Walker, what can I tell you about him? In the beginning I wasn’t sure that it’s is going to work for me. He acts like a douche and is arrogant, vain, over-confident, in short, a total jerk. But, man! don’t you write off his charm because you won’t even realize and he will sweep you off your feet. I don’t know when and how I fell head over heels in love with him. I’m completely smitten by this alpha male bad boy who made me swoon with his swag and awesome one-liners. He made me smile so many times. Yes, his ego is too big and yes, sometimes you would want to just slap him across the face but what he is not is boring. He will keep you hooked and that just works so well for the book. I didn’t want to like him but I couldn’t help it. Especially when he showed his soft side. He talks big but behinds all this tough guy act he still has a heart in the right place. He does start to care about Charlie and I loved whenever he took a stand for her. I’m am in Team Dante all the way. I’m sorry for all the rambling but Dante just has that kind of effect. Wait, till you read it. Now, let’s talk about Charlie. It’s so easy to love this girl. She is so sweet and innocent. She sees the good in people and likes to help others. But what she is not is pretty, well, according to Dante anyway. She is an average girl who is lost in the crowd. My eyes widen at the sight of her. This is the girl Boss Man is after? She looks like a porcelain doll…beat three times with an ugly stick. I take it all in: glasses, frizzy blond hair, a spray of pimples, and a stick figure so not attractive on a seventeen-year-old girl. I would really praise the author for creating such like-able characters. Dante’s POV is distinctly male and Charlie is real and relate-able. I can understand why she was attracted to Dante, I mean, come-freaking’-on who wasn’t? I also loved Annabelle. She is so cool and her interactions with Dante are just hilarious. I liked Blue too, especially when he wasn’t being a jerk to Dante but I don’t really blame him for it either. Charlie really has some great friends who care about her and in that sense she is incredibly lucky. The plot is original and really interesting. The book is really entertaining and so hilarious. It’s really hard to make people laugh, so again, kudos to the author for this feat. The serious scenes are also handled well and have depth. It’s not a perfect book but it’s pretty close. I definitely recommend the book to you. I will be stalking Victoria Scott to just know more about Dante and I need the next book guys. Like NOW!! This one sounds amazing and I can't wait to read it. Great review! I'm so glad I went ahead and requested this, even though I didn't originally plan to. Too many review copies, too little time, I'm afraid. But Dante sounds like a fascinating character and I can't wait to meet him.